Congratulations on three years-wow! You're creating a fantastic record for your boys! What a cute set of Nutcrackers... Blogging does have its rewards and I consider you one of my blogging rewards!! Count me in! Congratulayions, Lisa. I'm amazed that someone with small children would start a blog just before Christmas. :)) But hey! It has worked well for you. Oh Lisa Happy Blogversary WOW three years I have missed so much. I will have to go back and check some of those cute little baby faces out. Congratulations Lisa.No need to enter me I am just grateful for having you on the other end HUGS Keep going!!! B. Pick me pick me! Those nutcrackers are adorable!!!!!! Congrats on 3 years of blogging. Yours is my favorite blog and the only one that I read every day. I am sad on weekends when you don't post anything. You are a great writer and excellent photographer. You should be a newspaper columnist. Congrats on your three years! I just finished one month, I feel like I have a long way to go and sometimes I feel like my blog is going no where with still only two followers. But when I see blogs like yours I realize that I just have to be patient. Congrats on the 3 years!! Woo too! I'm with MJWC on this; yours is one of my favourite blogs and I'm so happy I found it. Pick me! Been following, but not commenting lately. I love blogging too! Congrats on 3 years. Happy three years Lisa! You are an amazing blogger! Heres to another 3! And I love those nutcrackers! Congrats on three years ! I have loved your blog for that long I think! Yay for 3 years of blogging! My Emma has been asking for a nutcracker since she saw the Nutcracker ballet, thanks for the chance to win! Congrats Lisa. Your children are very fortunate to have your blog/photos/memories for a lifetime. Happy blogiversary! Three years of dedicated writing is awesome. I'm so glad I found your blog. Yours is at the top of my list to read everyday. I love it! Three years already? Congratulations!!!! Those are just adorable, by the way! Whether I win or not - I have enjoyed seeing all the boys grow up and 'meeting' you. Still reading the book! I also completed my 3 years this year on November 21st! I can understand what a special feeling it is. I am new at your space so I will give the giveaway a miss. don't enter me in the giveaway - i'd rather they go to someone who really decorates for the season! My son collects nutcrackers. :) We would love to win them. I haven't known you three years, but feel as though I have. I'm always interested in what's going on with you and the family. Here's to at least 3 more! Congrats and more congrats. i want to blog forever and then somedays thinking a year of blogging is so daunting. one day at a time, right? Hey Lisa! Congratulations on three years!! You don't have to enter me in the drawing (we are family after all!) I just wanted to show my support! Keep up the fantastic work! Congratulations on 3 years, Lisa! I bet it is so neat to go back in time and look at older posts when your boys were teeny tiny :) I really enjoy your blog and I'm so glad I found it! Congratulations!!! I wonder how long I have been following you? It has not been the whole five years, but I wish it was, I missed so much in the first years. And I love your description of them! I still believe we will meet sometime! What a wonderful giveaway!!! I don't have any nutcrakers, so am keeping my fingers crossed! Congratulations on your three year blogaversary. Goodness three years is a long time to do something isn't it. It's also a great record of your boys growing up. Congratulations on 3 Years! Fabulous. I'm glad I found your blog, I can't remember how, but I did and I'm glad! That's great! That's about how long I've been going to. I love the prize! Congratulations on 3 years of blogging! That is quite the feat when your kids are young--I don't know how you do it!! I think I'm a relatively new pally here, but I have to say that I have really enjoyed "getting to know" you and your family. :) It's always fun coming here each day! Congrats on your anniversary! I know I was one of your first followers even though I don't blog. :) You have come a long way! Three years! CongratS!! That is a huge achievement. Your boys are going to love looking back at these memories for sure. I love those nutcrackers. They are adorable! Happy 3 years to you, Lisa! Congratulations and more years to come! I thought I was following you for quite a while now, but it seems it was not the case, so I pushed the button on this occasion. I should organize a giveaway as well, I need to find a proper occasion..
Congratulations on 3 years of blogging. I'm so happy to have meet you and your family. You have a wonderful following...way to go! WOW - Happy 3rd Blogiversary!!! 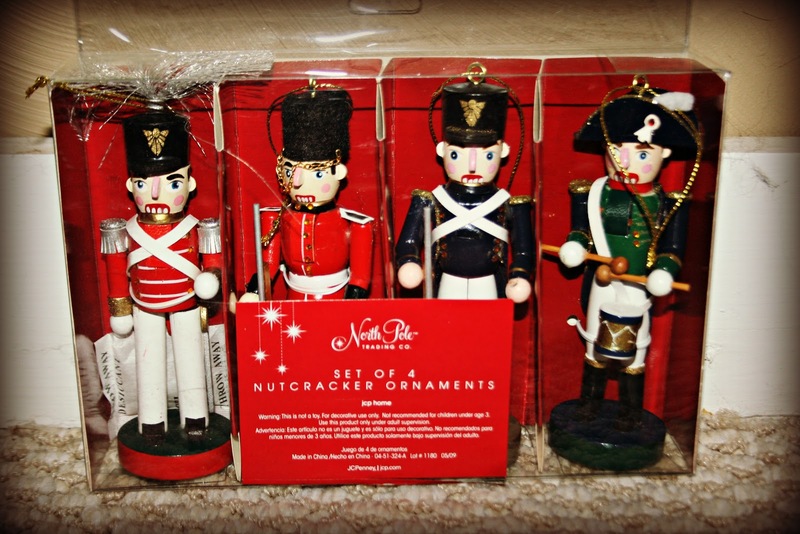 I just love the name of your blog ;) Thanks for the chance, my Grandkids love the Nutcrackers!!! ((1955nursehjc4me(at)myway(dot)com)) Happy Holidays to you & yours from Arkansas!! !